Hanging cores are defined as cores that are supported by the upper face of the mold and protrude into the mold cavity from above. 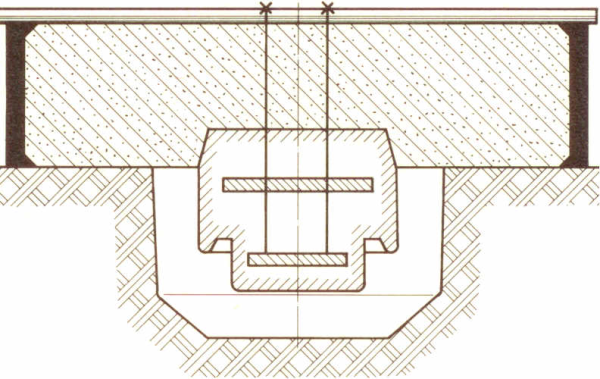 The support or bearing face of the hanging core is located above the mold cavity. 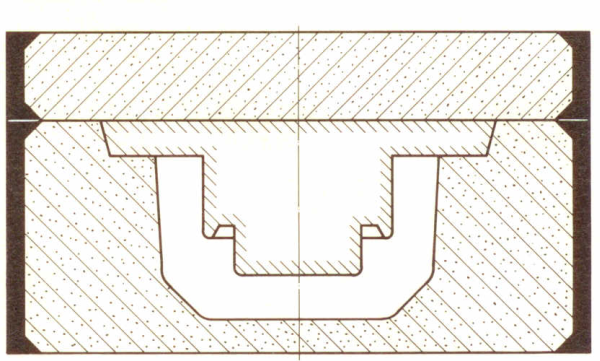 If it is not possible to design the core as covering core and clamp it between cope and drag as is illustrated in Fig. 1, it is attached to the cope mold by gluing, tying (Fig. 2) or screw-fixing, depending on its size.